← Liquid Rhinoplasty. Is a nonsurgical nosejob right for you? What is the definition of a successful Botox for Migraines treatment? No Improvement: Not having any improvement in your migraines is always a possibility, but it is a mistake to judge whether or not this is your real outcome if you’ve only had a single treatment by a single practitioner. Every physicians’ technique is different, and every patients’ headache triggers are unique. Also keep in mind that this is not the kind of treatment that typically works in a single session. In my experience treating migraine patients from all over the country, it usually takes 2-3 cycles of Botox therapy (6-9 months) to break the migraine cycle and start seeing real improvement. That sounds like a long time, but if you’ve been suffering from migraines for 20 years, it will feel like no time at all once you have your life back. Some Improvement: This is what I usually see in patients who have had botox for migraine treatments performed by nurses at medi-spas, or by physician specialists who don’t have a lot of experience with Botox in general, like neurologists and family practitioners. My guess as to why these people are getting sub-par results is that they are getting an inadequate dose, which is partly due to the fact that most neurologists are submitting this treatment through insurance and insurance will only cover a small dose, and because practitioners who don’t make a living doing injectable treatments on a daily basis are not comfortable injecting the deep trigger points like the temple area, into the jaw, or into the base of the neck. I typically inject 60-80 units of Botox across six different trigger zones, and I believe that this provides the best chance of breaking the headache cycle and producing a truly successful treatment. A True Success: I consider a truly successful migraine treatment one in which my patient has a dramatic reduction in the frequency and intensity of their headaches, AND a dramatic reduction in the amount of oral migraine medication he or she needs on a weekly basis. I have had the good fortune to see several of my patients go from having 2-3 “debilitating” migraines a week to having 2-3 “regular” headaches a month without taking any oral medication! I’ve seen this happen in even my most severe migraine patients when the treatment is done correctly, and when the patient is committed to breaking the headache cycle. What does it mean to “break the headache cycle”? Breaking the migraine cycle is the most important concept in Botox for migraines therapy, at least in my practice. Most migraine sufferers have been having migraines for many years or even decades, so it makes sense that it will take some time to break that pattern. Your body’s nervous system is hardwired to perform it’s functions efficiently and consistently, so when it “learns” how to generate migraines, it learns it very well and becomes very good at it. Think about any of your daily routines that you do over and over again the same way, like brushing your teeth. You’ve probably never noticed this before, but you pick up the toothbrush with the same hand, you apply the toothpaste in the same amount, and you brush in the same pattern. if something in that cycle gets interrupted, like running out of toothpaste let’s say, you get a little frazzled, but you eventually figure out a way to get back to your normal routine (i.e. you squeeze out every last drop of toothpaste and then carry on). If you ran out of toothpaste every single morning for a week, you would eventually figure out a better way to brush your teeth, but if it only happens a single time and then never again, your routine won’t change. It’s exactly the same thing with migraine headaches. I’ve had the best success with 2-3 cycles of Botox therapy (6-9 months). I’m very happy if I am able to break the cycle in a single treatment, which does happen but is rare, but I don’t consider the treatment a failure until at least 3 months after the third treatment. What is the MAS Migraine Treatment Protocol? 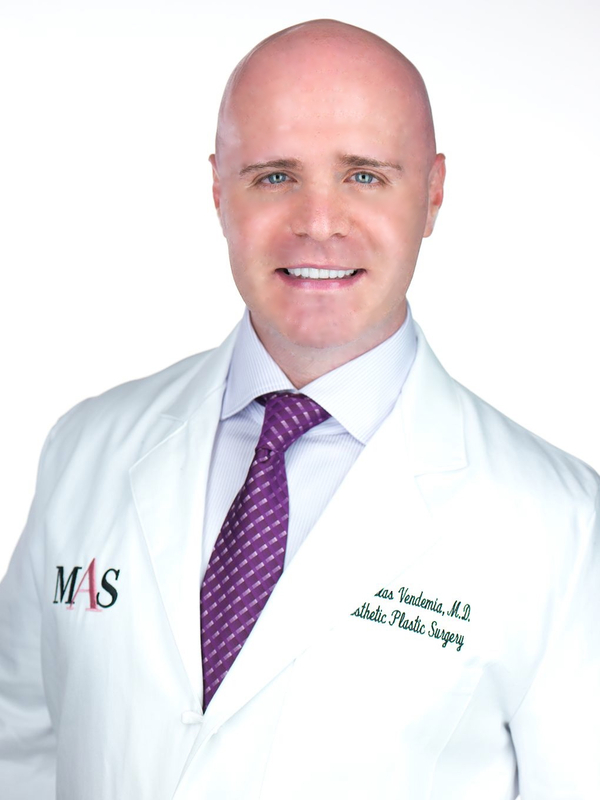 The MAS Migraine Treatment Protocol is my unique “standard” for treating this condition that I’ve developed (and continue to refine to this day) after treating migraine patients from all over the country. The protocol involves precise injections of 60-80 units of Botox across six different trigger zones, half of which are deep muscle zones. The trial period of the treatment involves three treatments ideally spaced three months apart, and unless my patients are willing to commit to the full trial period, I will usually tell them that it isn’t worth their money if they only want to try it once… it just doesn’t work well that way. Each treatment takes about 30 minutes, and there is no downtime, although I have seen the treatment induce a short-duration headache in a few patients. When I see patients who have had little or no improvement with their Botox for Migraines treatments performed by other practitioners, I believe it usually because the dose wasn’t high enough and the trigger zones were inadequately injected. How can I get more information about Botox injections for migraine headaches? Feel free to give us a call at 917-703-7069, or send us a message through our website.